Last September, Mark Mathias took his kids to the New York Maker Faire. The event — an exhibition/showcase/festival where techies, crafters, educators, tinkerers, hobbyists, musicians, engineers, artists, students and anyone else entertains, informs and connects with kindred spirits of all ages and backgrounds — inspired the entire family. Mark’s son was especially impressed with the marshmallow shooter, made from PVC pipe. 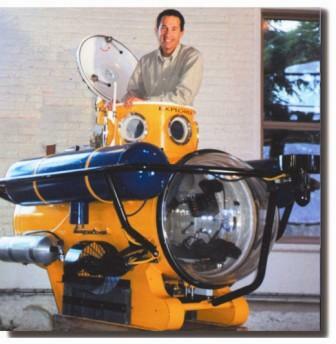 Alan Winick will exhibit his personal submersible yellow submarine at the Maker Faire. Eight feet long and 2300 pounds, it has gone 120 feet deep in Long Island Sound. 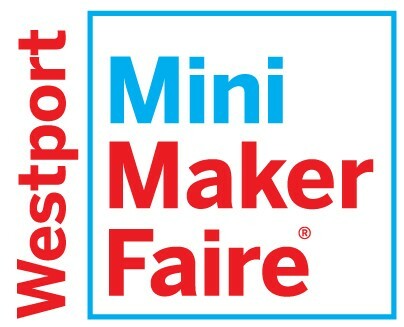 On Saturday, April 28 the Maker Faire comes to Westport. The 1st event of its kind in Connecticut, it will fill the Westport Library and Jesup Green with contraptions, crafts, art, engineering, food, music, robots, rockets, magicians, jugglers, and whatever the cat drags in. Over 50 exhibitors will provide demonstrations, hands-on-workshops and do-it-yourself resources. Anyone and everyone is invited to make, build, design, hack, eat, drink, listen, create and play. The Maker Faire has already inspired a number of people. When Mathias asked the library for use of the McManus Room, Bill Derry — assistant director for innovation and user experience (!) — did more. He offered the Great Hall and Children’s Library too. A Rube Goldberg Competition begins with a pile of stuff (maybe a lawn chair, tubes, marbles — whatever the aforementioned cat drags in). Participants then construct a contraption in true Goldberg fashion. You could call Westport’s Maker Faire a celebration of invention, creativity and resourcefulness. Mike Ogrinz is a longtime robot builder. The one on the left was constructed with cardboard and tin foil. 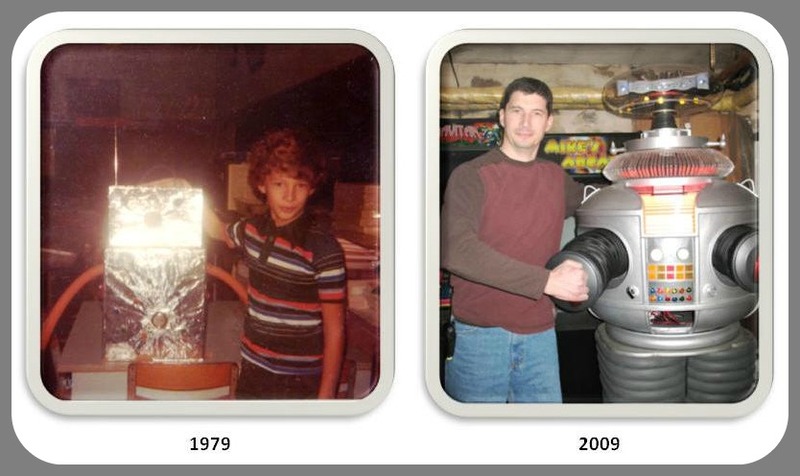 His B9 robot (right, from "Lost in Space") will be on display at the Westport Maker Faire. This entry was posted in Arts, Downtown, Education, Entertainment, Library, Organizations, People, technology and tagged Alan Winick, Bill Derry, CLASP Homes, Maker Faire, Mark Mathias, Westport Public Library. Bookmark the permalink.